Complete with details that bring out the characteristics of the new Scrambler 1100, enhancing its sporty spirit. The number plate holder set gives the rear end of the bike a light and dynamic look, and the tank plug and turn indicators provide the final touch of a distinctive design. 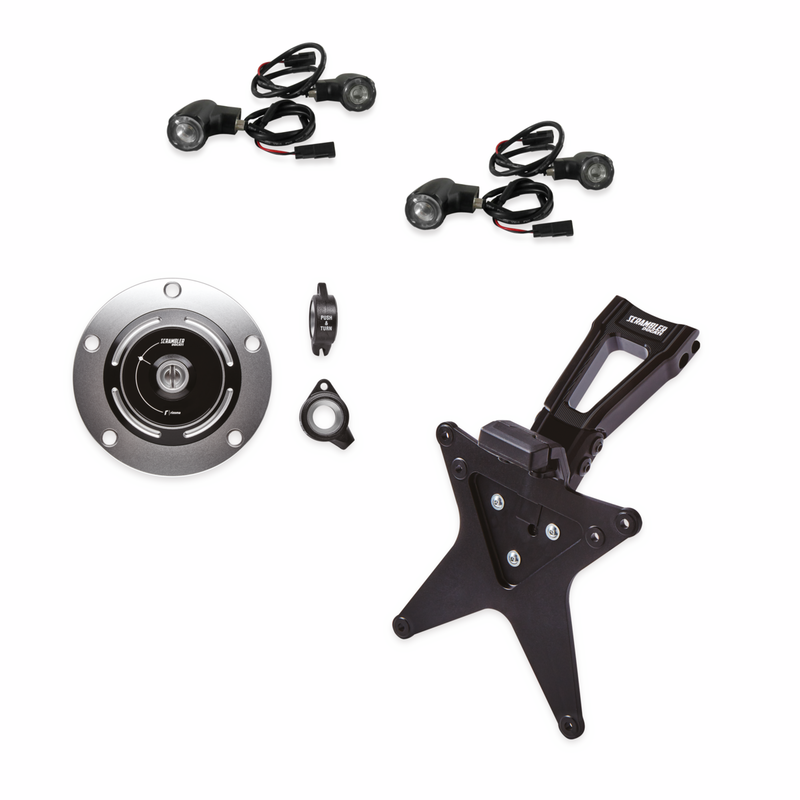 The kit includes: two sets of LED turn indicators (front and rear), set of adapters for turn indicators, aluminium tank plug, number plate holder.